Reception following at Life Story Center. Throughout her rich and rewarding life, Laura Horvath lived a life of purpose while holding her loved ones near. She was a woman of many talents, yet she was also incredibly humble and loved using her time and talents to bless those around her.  Laura was deeply devoted to her family, and although she treasured her roles as a wife and mother, she just might have argued that nothing was better than becoming a grandmother later in life. Her tender and nurturing hearts grew to include cats as she rescued three cats over time, giving them a loving home. Life will never be the same without Laura here, but she leaves behind a timeless legacy that her loved ones will proudly carry on in her footsteps. It seems only fitting that Laura’s journey began during a time that was as vibrant as she was. It was the 1950s when James Dean and Marilyn Monroe were big names on the silver screen while Elvis Presley took the music world by storm. This was also the decade that witnessed Rosa Parks refuse to give up her seat on an Alabama bus, bringing civil rights front and center. 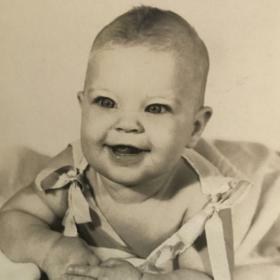 It was in 1951 that John and Helen (Clark) Parks were eagerly awaiting the birth of their new baby as Christmas neared in Valparaiso, Indiana. Their wait was finally over when the baby girl they named Laura K. drew her first breath. One of five Parks girls, and she was like a second mother to her younger sisters, Peggy, Patty, Cathy, and Jonni. In many ways, Laura was a young girl of her generation. She became interested in music while in grade school, and this was something she enjoyed throughout the rest of her life. Laura and two of her sisters ended up playing the guitar. She attended local schools, graduating from Valparaiso High School in 1969. Laura worked and also played in the band she had with her sister and friends called Four Plus One. Together the sisters played folk and church songs. New and exciting changes were in store for Laura when she went off to study business at Indiana University. On her first day in the dorms, her path crossed with the young man who would forever hold the key to her heart. His name was Ken Horvath, and he thought she was waving at him when she was actually waving goodbye to her father! They hit it off right away, and the rest is history as they say. Laura and Ken began dating and soon found themselves deeply in love. 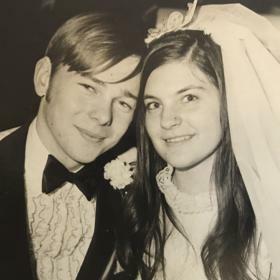 With a desire to spend the rest of their lives together they were married on February 20, 1971, in St. Paul’s Catholic Church. They were between semesters at the time, and they went back to school there. The newlyweds lived in married housing until Ken graduated, and Laura also stopped taking classes to help get him through school. It didn’t take long before Laura and Ken had settled into married life. They started their family in 1976 when Jennifer was born, and in 1978 their family was completed when Kelly came along. They spent a brief time living in South Bend where Ken was from, but they moved when Ken took a job with Cleveland Cotton Products. Laura focused her time and attention at home until Kelly was two, and at that time Laura took a job at Western Michigan University. After a few years, she began working at Upjohn. She initially worked as a secretary but later worked in IT support. Laura was very successful in her work, but in 2004 she left work to help Kelly with her kids for a few years. Finally, Laura worked for MPI Research until she recently retired. She was always good at her job, and she enjoyed them as well. 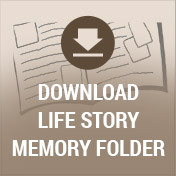 There was never anything of greater significance in Laura’s life than her loved ones. She was very involved in the lives of her girls including with Jenny and her gymnastics and Kelly with her band activities. Laura was there to support them in whatever they did and to make sure they got where they needed to go. As a family they made priceless memories on various vacations including to the Upper Peninsula and also to Florida. As huge fans of Indiana University, they were season ticket holders for years and went to several games a year. They also enjoyed visiting family there and did some wine tasting, too. More recently, Laura was thrilled to become a grandmother, and she was very involved in their lives. She loved caring for them often, and she also enjoyed taking them on fun outings. As they got older, Laura was there for all of her grandchildren’s events and activities as well. Over the years Laura was one to keep busy. She continued playing her guitar on and off, and she loved the music of John Denver, Simon and Garfunkel, and Peter Paul and Mary. Laura was frequently working on a cross-stitch project. An excellent seamstress, she also made Halloween costumes and uniforms for her girls. After her girls left home, Laura rescued a cat and then became a cat lover. Over the years she rescued and took in three different cats. When relaxing, Laura loved reading, especially when it was an exciting mystery from Dan Brown or John Grisham. She and her husband liked going out to eat to places like Schuler’s. Truly beautiful on the inside and out, all who knew Laura Horvath would agree that she was such a special person. She was hardworking, yet she made the time to enjoy life along the way with the ones who meant the most to her. Laura was a loving and supportive wife and mother who delighted in her four amazing grandchildren. A loyal friend, her warm and genuine personality made her a stranger to none. Deeply loved, Laura will be forever missed. 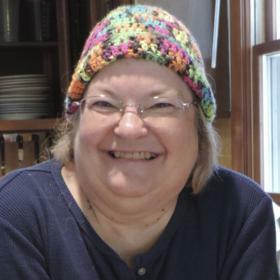 Laura K. Horvath, of Kalamazoo, died October 15, 2017, in Kalamazoo. Laura’s family includes her husband, Ken Horvath; 2 daughters: Jennifer (James) Baughman and Kelly Ruegsegger; 4 grandchildren: Alexander and Avery Baughman and Natalie and Jack Ruegsegger; 3 sisters: Peggy (Marty) Alexander, Cathy (Tim) Smith and Jonni (Mark) Baker; and many nieces and nephews. 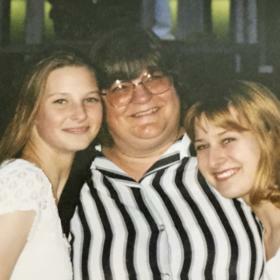 Laura was preceded in death by her parents, and sister, Patty Parks. Cremation will take place. Mass of Christian Burial will be celebrated Saturday 10 a.m. at St. Augustine Cathedral. A reception will follow the mass at Betzler Life Story Funeral Home, 6080 Stadium Dr. Kalamazoo (269) 375-2900. 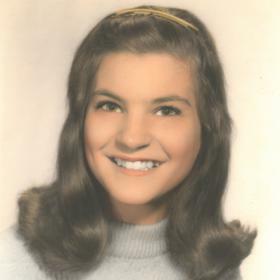 Please visit Laura’s personal web page at www.betzlerfuneralhome.com, where you can archive a favorite memory or photo and sign her online guestbook. Memorial contributions may be made to Kalamazoo Humane Society.